George Walker Bush (born July 6, 1946) is an American businessman and politician who was the 43rd President of the United States of America from 2001 to 2009. At seminary, I was largely absent, and always inattentive and, yet, I learned a great deal through what, I think the scientists call, osmosis. What the men of science call it. I am not sure if that is Scripture Herself, or the ruminations of an inventive, and very talented, priest, of which we had a few, but the answer to that doesn’t matter here. 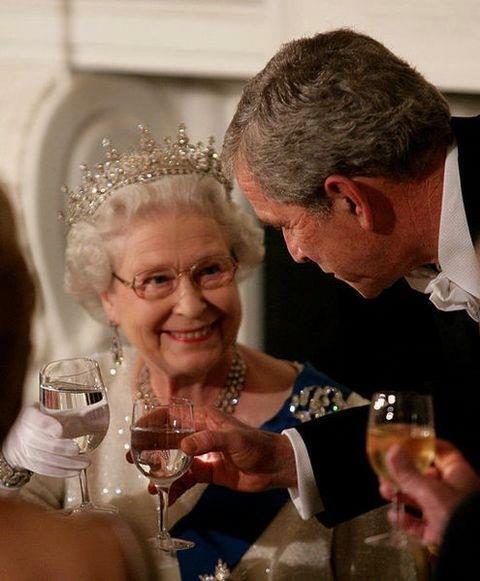 One such who met that devil, but had the very good fortune to escape His Evil Embrace, is George Walker Bush. During his 8 tumultuous years in office he did not flee back to the easy path of comfort afforded by the Devil in the bottle. 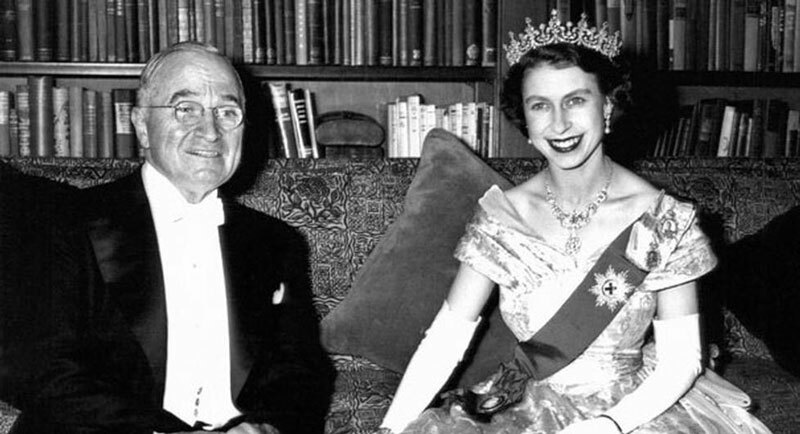 He was true to his vow to forswear the Devil in the bottle, true to his lovely wife, Laura, one of the really magnificent First Ladies of our History, and above all else, true to God Jesus. 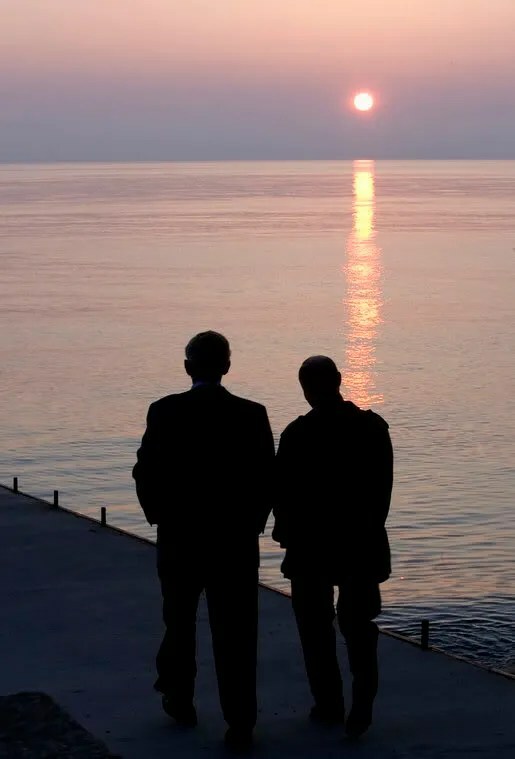 President George W. Bush and Russia’s President Vladimir Putin take a sunset walk on a pier along the Black Sea during a visit by President and Mrs. Bush Saturday, April 5, 2008, to President Putin’s summer retreat, Bocharov Ruchey, in Sochi, Russia. White House photo by Eric Draper. 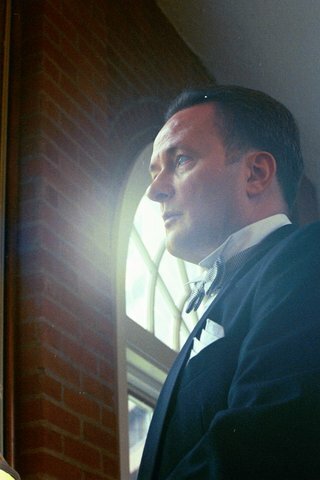 I have never known a man, in all my journeys through this fascinating life who, at one time or another, has not had to look in the shaving glass and stare down that Devil in the eye. And that cold, hard, look in the shaving glass, requires that a man be very brave. 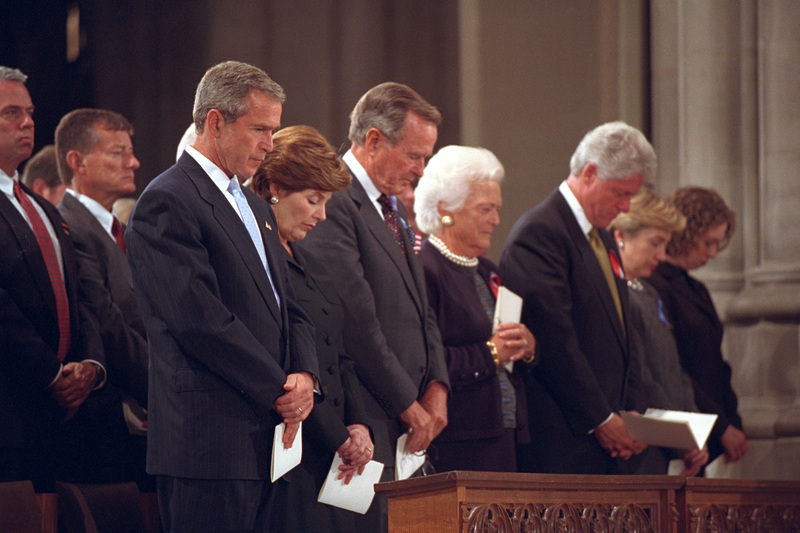 George Walker Bush looked squarely in that glass and he did not flinch from its message. That is more than enough good work for all of one man’s life. 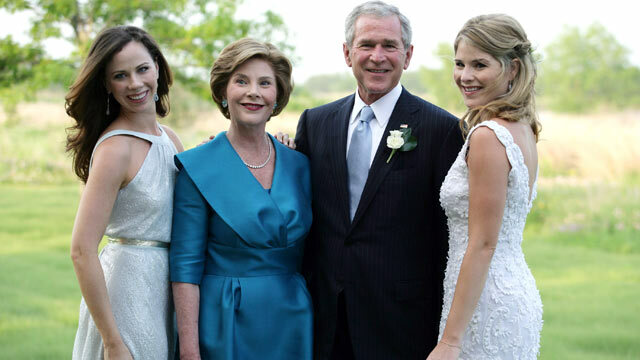 PHOTO: George W. Bush and Mrs. Laura Bush pose with daughters Jenna (R) and Barbara (L) prior to the wedding of Jenna and Henry Hager in this May 10, 2008 file photo. near Crawford, Texas.